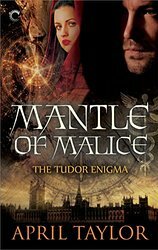 April Taylor: The Tudor Enigma – Crime Fantasy in an Alternate Tudor Universe. 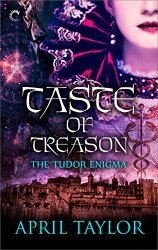 We are introduced to Luke Ballard, apothecary and elemancer, a man who loves a quiet life, but is commanded by Queen Anne Boleyn to find the traitor who is trying to kill her son, Henry IX. Blood, frogs and a threat to the firstborn. Luke, now Henry’s Privy Inquirer into Divers Mischiefs and Grievances. The continuation of Tudor rule and the future of England’s true religion rest with King Henry IX’s new bride, Queen Madeline of Scotland. Pregnant with a possible heir, she’s nearly killed—twice—in incidents that bizarrely mimic the Plagues of Egypt. 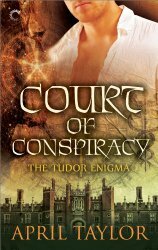 England’s infant heir has been kidnapped, and there’s only one man who can find him. Luke Ballard has dedicated his talents—and his life—to protecting the throne. As Henry IX’s Privy Inquirer and Dominus Elemancer, his loyalty is no longer in question. But when Queen Madeline’s coronation is interrupted with the news that Arthur, the baby Prince of Wales, has been abducted, Luke is given an ultimatum: retrieve the royal heir and prevent future threats to the royal family or lose his head. Nice to meet you April and learn about your books. Thanks, Seumas for this introduction and great review. New territory to explore I see. Sounds scrumptious. 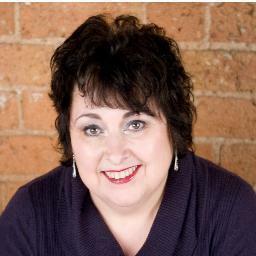 Thanks for the the introduction to April Taylor and her books. Hi April. An alternate Tudor world sounds like fun!